Charities are held up by many as paragons of ethical virtue, and any organisation that undermines that view can find itself in a very damaging situation. Yet a year ago that was the situation in which Oxfam and Save the Children, and indeed many in the international development sector, found themselves. Oxfam faced accusations of sexual misconduct by staff towards beneficiaries in Haiti, and Save the Children of sexual misconduct perpetrated by senior executives. Both put the issue of the charity sector’s ethics and claims to moral superiority under the spotlight. That charities should work for the public benefit and put the interests of their beneficiaries at the heart of what they do. That charities and those who work and volunteer for them should uphold the highest levels of institutional integrity and personal conduct. Charities should create a culture where donors, supporters and the general public can see and understand how they work, deal with problems and spend their funds. in a safe and supportive environment. 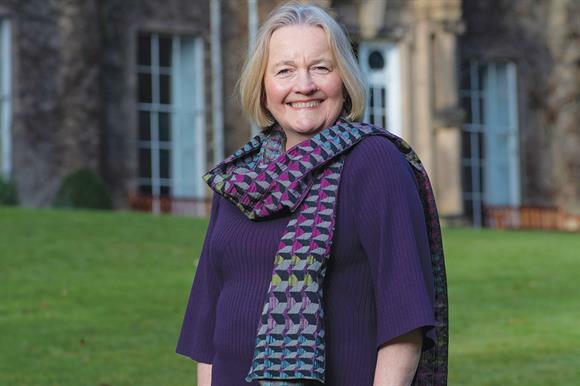 To provide some clarity on ethical principles, the National Council for Voluntary Organisations last year commissioned Dame Mary Marsh to produce a list of ethical principles for the charity sector. Marsh, a former chief executive of the NSPCC and current chair of the Royal College of Paediatrics and Child Health, released her principles in January (see "The NCVO's ethical principles", right). They provide a broad set of ethical ideas that charities can adopt under four headings: beneficiaries first; integrity; openness; and the right to be safe. Each principle has a section called "upholding the principle", which provides advice on how charities can adopt the ethical principles into their everyday operations and governance. Marsh tells Third Sector that, despite the recent scandals, the sector broadly behaves well. "The vast majority of people in the charity sector are there because they care about particular issues and beneficiaries, and they want to make a difference," she says. "But of course any situation where you bring people together requires a very careful focus on relationships on a routine, day-to-day basis." She also points out that the charity sector is by no means the only one to have under-taken ethical reviews in the past year, with similar exercises having been conducted by the Local Government Association and in the education sector. But for charities, Marsh says that the principles have deliberately been made vague so that organisations have space to develop policies that suit them, rather than provide something overly rigid and dogmatic for charities to implement. In other words, it is about having the right culture. "For some organisations, particularly young ones, it will be a starting point," Marsh says. "It is a helpful point for reflection. Someone described it to me as a useful ‘touchstone’, which is a good way of describing it. "The principles do not tell you to do anything. They tell you what to think about; then you must follow through in your own context with your own code of conduct. How are you handling incidents? How far are you an organisation where people feel safe? How open are you to hearing from people? Do people feel able to speak up safely? Do they think they will be heard and that something will be done about it?" The important thing, Marsh says, is that charities make sure the principles are widely accessible to staff, volunteers and others outside the organisation. The first test, she says, will be who knows what the principles are and then how they will be used on a day-to-day basis. an organisation can create problems, says Marsh, and both should be key considerations for any organisation’s leadership. "The key factor is when power imbalances are not ameliorated so that people feel able to say they don’t like something or that they feel threatened," she says. "These power imbalances can leave some people at risk of harm. "This is all about human relationships: how you work together and the culture of the organisation. The more diversity you have in every possible dimension, the more likely it is you will have a culture that is richer, and full of openness, challenge and exchange." But in a world where a 16-year-old Swedish schoolgirl has started worldwide protests among children against climate change, has the charity sector kept up? Is the charity sector really still the most ethical one in which to work? Marsh says that the principles have tried to reflect some of this: charities are asked to be "sensitive to the impact of their activities on both the natural and human environment". And this means that charities, even those outside the environmental sector, should take a lead in saving the planet, especially if they want to remain relevant to the younger generation. "Integrity and ethical conduct in relation to environmental responsibility is fundamental," Marsh says. "You cannot say you are ethical if you don’t do that." Most importantly, Marsh says, charities must recognise that the world has changed after the crises of last year. The ethical principles offer a way in which charities can demonstrate that the lessons of 2018 have been taken on board and rectified. "There’s no doubt at all that the lid came off the pot and everyone suddenly realised that we can’t be in the least bit complacent about this," she says, "whoever we are and wherever we are." Matthew Sherrington: Has concern for the 'greater good' given toxic cultures a pass? Charity pay study 2019: Who are the highest earners?